Lexington, MA, April 30, 2014 – Daymark Solutions, a leading provider of information technology solutions, today announced that The Boston Business Journal has named Daymark as one of the Best Places to Work in Massachusetts in its twelfth annual regional awards program. The honor recognizes Daymark’s achievements in creating a positive work environment that attracts and retains employees through a combination of employee satisfaction, working conditions and company culture. Daymark was one of over 400 companies to qualify for consideration based on a two-stage nomination process and the results of employee-satisfaction surveys taken throughout March & April. 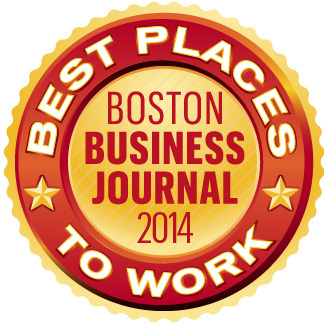 This is the 5th consecutive year that Daymark has won this Boston Business Journal award. Daymark Solutions is an experienced technology solutions provider that helps organizations effectively apply technology to solve business challenges. Specializing in data center infrastructure, data protection, virtualization, cloud and managed services, Daymark architects and implements best-of-breed solutions. The company’s unique combination of in-depth technical knowledge, extensive experience, and proven methodologies enable its clients to successfully address even the most difficult technology challenges. For more information, call 781-359-3000 or visit www.daymarksi.com.